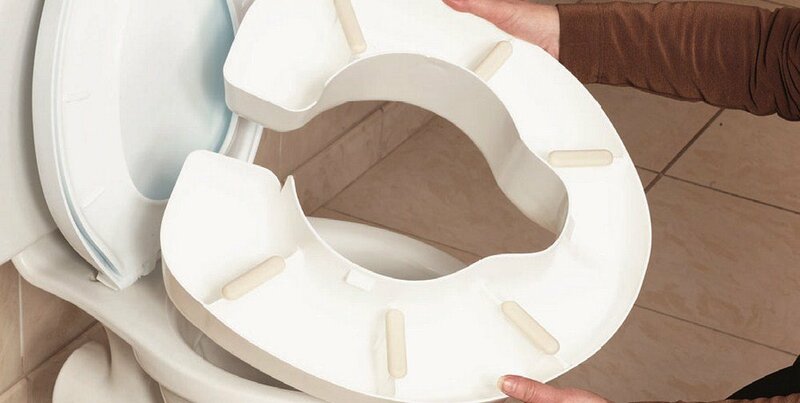 The Novelle Portable Clip-On Raised Toilet Seat raises the height of the toilet to help you get on and off more easily. 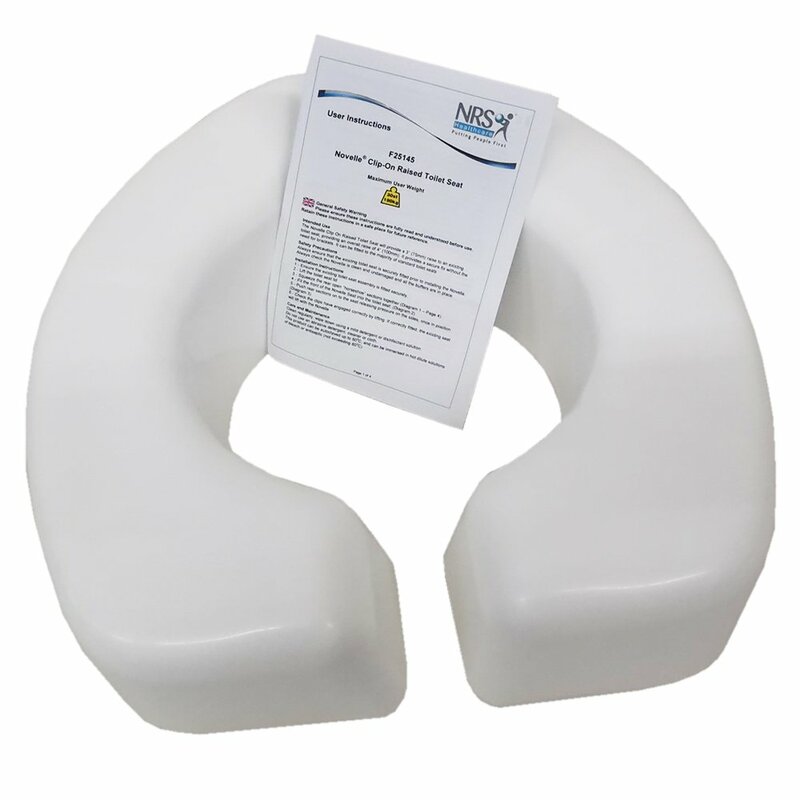 This clip-on seat will provide a 3″ (75mm) raise to an existing seat, providing an overall raise of 4″ (100mm). 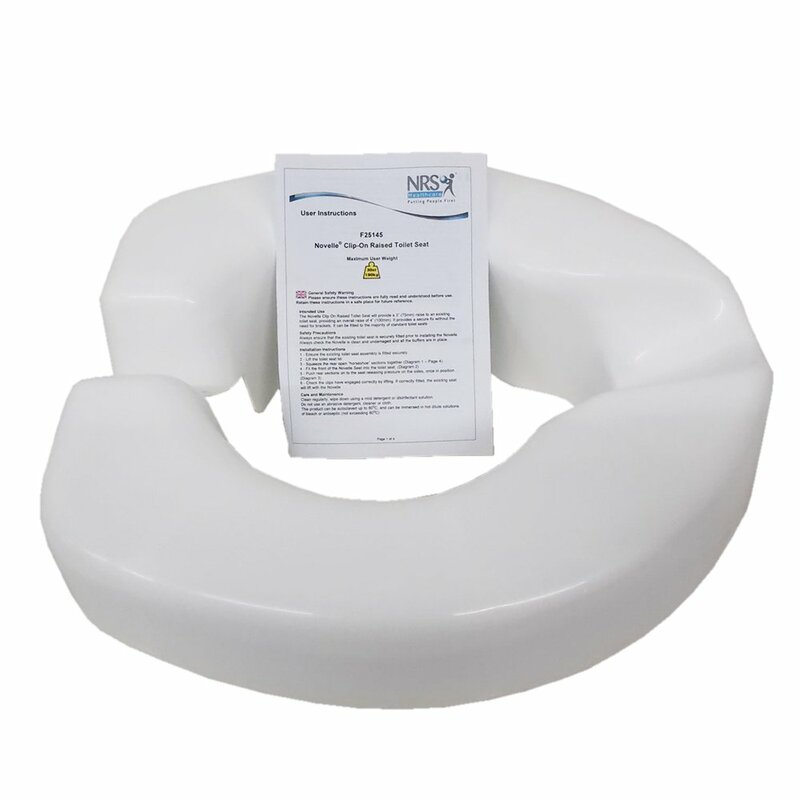 Easy to fit having no brackets, the Novelle can be fitted securely to the seat rather than the bowl, making it convenient and ideal for travel purposes. Simply squeeze together the open ?horseshoe? 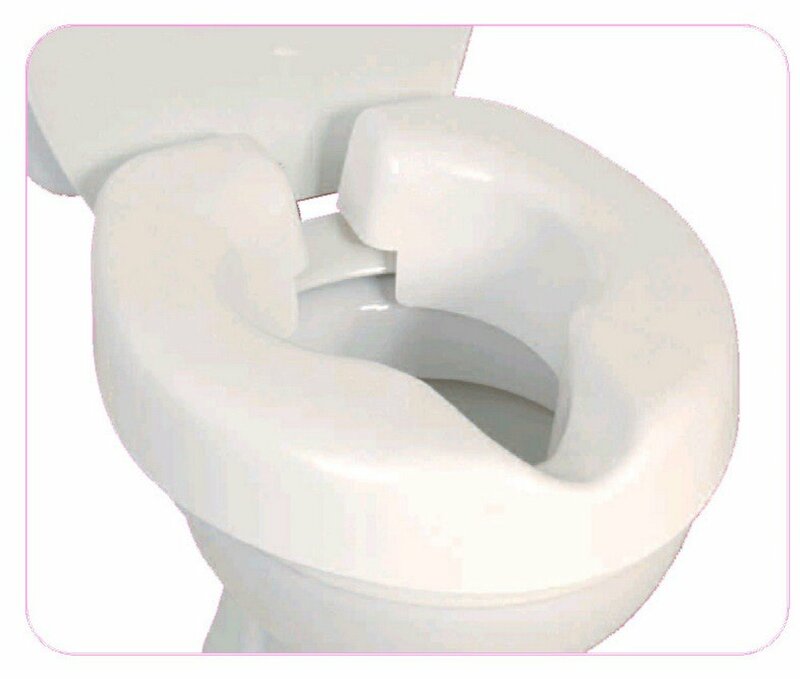 section, locate the front clip underneath the existing seat, push down and release the open section. To remove, simply reverse the process releasing the rear clip first. Height: 75mm (3″). Maximum user weight limit: 190kg (30st).